Launch Your Own Apple TV tvOS App! Publishing your own branded Apple TV app is now a matter of 1-click with Muvi. 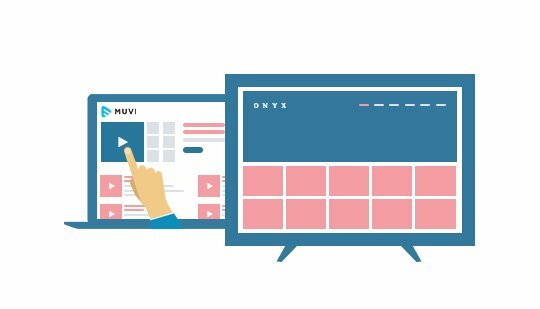 Muvi has a built-in native tvOS platform that just requires you to sign-up, upload your content, choose a design and get going. It’s as easy as that! 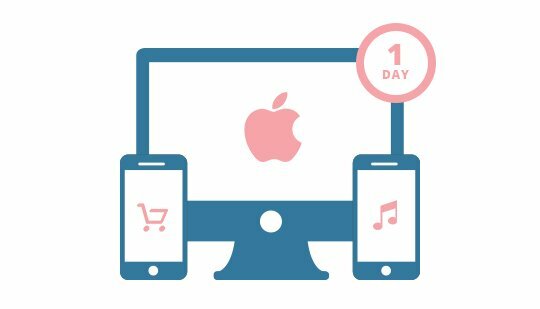 Muvi powered Apple TV apps are fully featured, custom built, absolutely white labelled and will integrate into your existing content distribution strategy so well that you just have to worry about generating great content, IT being taken care by Muvi. Upload your content, choose a template, upload your logo and get going. Creating your own Apple TV app is smooth and easy with Muvi. Combining years of experience and thought industry exposure, Muvi brings a platform that lets you reach millions of Apple TV users instantly! Muvi gives you all the features that you can expect in an Apple TV app. The app lets your subscribers register and login to their accounts, access all their favourite content, make payments and purchases, manage subscriptions & transactions, search for videos, and do much more. You can even send push notifications through your Apple TV app informing viewers about new content and promotions. Muvi helps you launch your own Apple TV app seamlessly with no knowledge of IT or coding. Muvi is an all-in-all solution offering that builds and manages your tvOS app completely. Muvi also provides you multiple monetisation options, timely updates, automated bug fixes and lets you meet your viewers just at the ease of one click. Not just this, but all future updates by Muvi will also be rolled out to your app automatically and you just have to worry about nothing but your business. With Muvi, integrating your Apple TV tvOS app with the rest of your video business is super easy. Your app is published in sync with your brand design and voice, so that it reflects and promotes your brand, with no mention of Muvi anywhere. Your tvOS App will also be submitted to Apple App stores with your own accounts, not Muvi’s and all your revenues and incoming transactions go direct to your bank account (no revenue share with anyone, not even Apple), Muvi is restricted to manage only IT. Personalise your Apple TV app according to your choice and to reflect your brand. Muvi provides various high level customization options for your Apple TV app. Whether you wish to integrate with any third party platforms or you wish to include your own designs, Muvi lets you do that all. SVOD, PPV or AVOD! Whatever your monetization model is, however you wish to leverage it, Muvi lets you choose your way. With Muvi, you can even choose hybrid monetization model, integrate with multiple payment gateways, and support multi-currency (local currencies) payments. All your revenues go direct to your bank account with no superficial charges, and no revenue share with anyone, not even Apple! Yes, Muvi also provides you complete analytics and reports on how your tvOS app is performing. The Muvi dashboard has tons of reports and tracking tools to always keep up with your channel’s viewership patterns, allowing you to track average viewing time, check bandwidth consumption & popular resolutions and do what not.